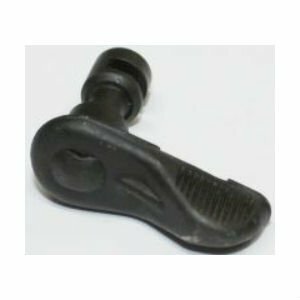 HK early style selector lever for steel grip frames. This is correct for those building original G3 clones. This was the first generation HK selector manufactured from 1959 through 1964. 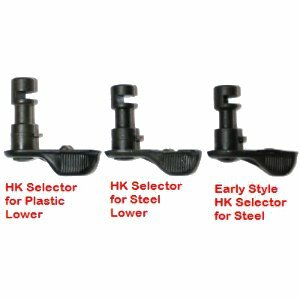 This is a short axis selector for all HK style steel grip frames using single sided selectors. German army surplus in VG condition and perfect working order.